As cult beauty items go, your average deodorant wouldn’t usually shoot to the top of the list. That is unless it's a deodorant created by Aesop, whose original spray deodorant has drawn quite the following since its release eight years ago. As well as coming with the cachet of Aesop’s sleek and sophisticated aesthetic, it actually works – unlike many naturally derived, aluminum-free formulas on the market. This is due to its key active ingredient, zinc ricinoleate (a zinc salt that inhibits bacterial proliferation without blocking sweat glands like aluminum). Add to that a blend of essential oils chosen for the way they neutralize odours and you have something really quite special. The scent is a heady blend of vetiver and coriander, whilst their Herbal Deodorant – launched at a later date - offers a lighter alternative to the original. 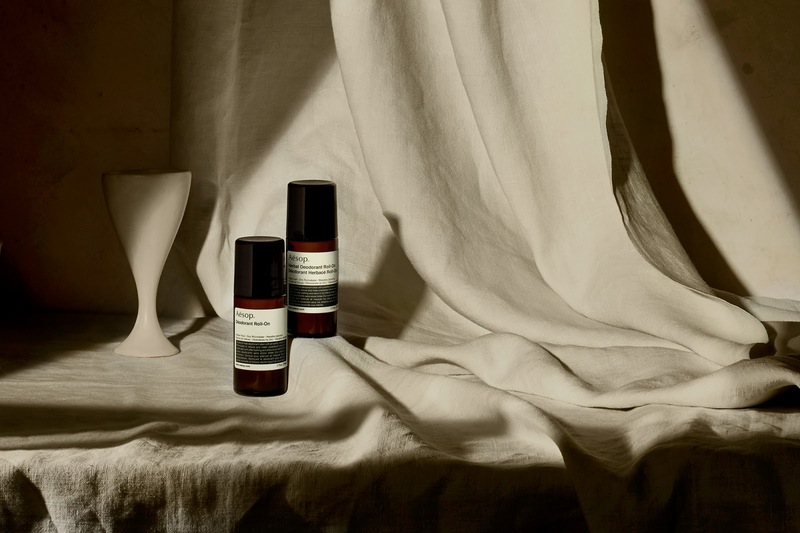 Fast forward a few years and the Aesop brand has now introduced its first Roll-On Deodorants, which also come packed with high-quality botanical ingredients to help reduce and mask body odour. The new Déodorant Roll-On and Herbal Deodorant Roll-On offer an aluminium- and alcohol-free alternative for those whose skin may be irritated by conventional deodorants, or those that just prefer the roll-on form. “Our Roll-On Deodorants feature a unique blend of essential oils to impart a refreshing fragrance and effectively inhibit the growth of odour producing underarm bacteria,” says Dr Rebecca Watkinson, Aesop’s Innovation & Research Manager, and yes, they also do a top job when it comes to eliminating smell. Both formulations have a smooth, creamy texture and contain Zinc Ricinoleate and Wasabi Extract, which work in tandem with essential oils to reduce the development of body odour. Naturally, each Roll-On is packaged in an elegant 50mL amber glass bottle, making them quite simply too gorgeous to hide in your bathroom cabinet. As a two-time breast cancer survivor who avoids aluminium like the plague and has tried every ‘natural’ formula out there, I can confidently say these are the best out there – and they smell fantastic. All four options are available at signature stores, counters in select department stores, and at Aesop Online. The new roll-ons have an RRP of $39 for a 50ml bottle, but are worth every cent.